Arctic Securities is an employee owned investment bank, with competence, integrity, discretion, agility and independent analysis as its core values; values and characteristics that can be used to describe Magnus Carlsens personality and playing style as well. The sponsoring agreement has run since 2009 and is ongoing. I’ve spent most of October abroad. In the UK we saw a few football matches and I met young chess enthusiast and top Liverpool footballer Alexander Trent Arnold for a game of chess. Later the same day the annual Play Magnus live event took place in Hamburg in the offices of Der Spiegel. Several of the players put up a good fight and I was a bit lucky to win all the games. The drawback of arriving in the US a week before Sinquefield Cup is that the longer you stay, the worse jetlag arriving back home. I’m doing quite well though, and I’ve had time to relax and start thinking about events ahead. Back in 2012 FIDE awarded the rights to organize the World Championship cycle to Agon (although not the Chennai match). Apart from the fact that I’ve won the subsequent two matches, the FIDE/Agon cooperation has in my opinion not been particularly successful. This time around it effectively stopped other organizers from making an attractive bid for the match. Anyhow, both Caruana and I have signed the contract, and the London match starting November 9th is on! I’ve always been ambivalent about rest days. It brakes the tournament rhythm which is generally a disadvantage and especially so if you are in the “flow”. But, objectively it is needed so that players can regain part of their strength during a taxing tournament. In preparation for the Biel GM Tournament I’ve spent more than a month in Oslo thoroughly enjoying the unusually warm summer. Having played three elite events in two and a half months in addition to the 10-day trip to the US lately, it is good to spend some time back in Oslo and also enjoy the football World Cup featuring magical matches as witnessed in Spain – Portugal (3 – 3). I’d like to congratulate Caruana on winning Altibox Norway Chess 2018 with an inspired spurt winning the last two rounds to reach +2. The last round could have seen a five-way tie for first with 8 rounds of Blitz play-off on Friday. Norway Chess 2018 - Great start! Hopefully this is what good form is about. Sleeping well. A relaxed atmosphere and little emphasis and focus on expectations. Not second-guessing own opening choices. Efficient time-management. Enjoying the games. Easier said than done, of course. Vugar Gashimov Memorial 2018 Victory! The penultimate round turned out to be decisive in Shamkir. Usually I’m in good shape two days after a tough football match. This time I wasn’t and misplayed the opening against Topalov. Probably both made several inaccuracies, and the middle game was pretty balanced. My plan with Rd2, Qd1, Re3 created challenges for black, but I expected him to see the necessary Kf8-resource. Topalov says he did, but chose to give his queen for rook and bishop. Sometimes you can defend fairly easily against the queen. Generally any misplaced pawn makes it very difficult for the lighter pieces. Today I gave him some drawing chances partly due to my exposed king. Evaluating the position correctly was tricky for both of us, and fortunately I won and took clear the clear lead! Expectations were high ahead of the first round today as I was black against second seed Mamedyarov. Still the game fizzled out all too soon. Maybe he expected a Grunfeld and was surprised by my Kings Indian. The line he chose didn’t leave enough play after the opening exchanges. I was hoping to gain some longterm initiative with the queenside majority only to discover that his f4! was even slightly better for white. Draw is objectively fine with black against Mamedyrov, but having had too many non-games in April already, I had hoped for more of a fight. There were more content in some of the other games, but we are all sharing the lead with 0,5/1 ! The last six rounds of Grenke Chess Classics took place in Baden-Baden. It is a short transfer by car from Karlsruhe, but the setting is very different. From the largest Open in the World, taking place in the middle of city, to the much more intimate Kulturhaus playing venue in the spa-town Baden-Baden, partly in summer weather. Curiously, my level of play hasn’t been stellar in Baden-Baden. Not so despite winning in 2015, nor in 2017 or this time. This year I fought hard, had many quite long games and was only in danger once, after over-pressing against Meier. In time trouble none of us saw the beautiful winning line involving a double rook sacrifice on h7 and h6. 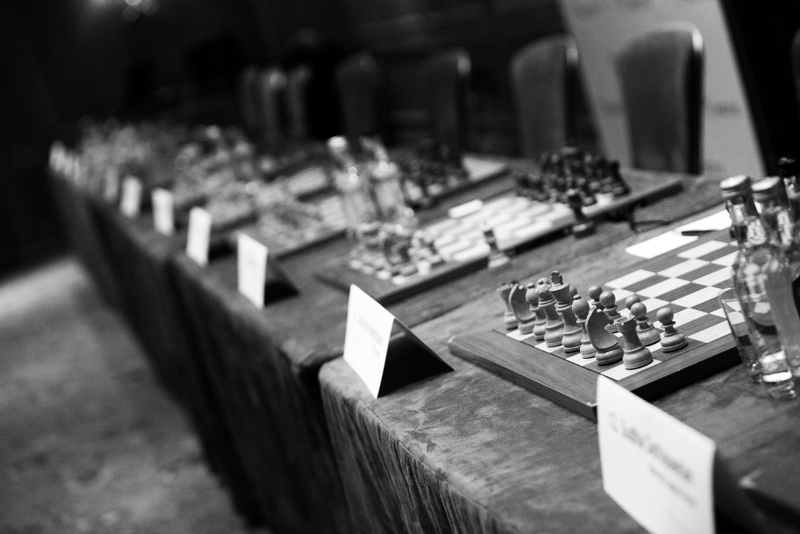 From a spectator perspective the introduction of Candidates tournaments from 2013 onwards has been a resounding success. Somewhat surprisingly the 2018 tournament is arguably the most exciting so far. I really enjoyed the many intense fights and the uncompromising approach by nearly all the players. With 14 rounds the Candidates is the longest elite event these days, and with the high stakes and winner-takes-all dynamic, gravity pulls down the leaders and facilitates comebacks even at a late stage. Still, I think the early +2 score achieved by first Kramnik and then Caruana forced a risk-taking approach more generally. 6th Wijk aan Zee victory! In 2015 and 2016 I won outright with 9/13 in Tata Steel Chess. This time it was enough for shared 1st with Anish Giri, and with the new play-off rules implemented in 2017, tournament victory was decided by a Blitz play-off to the joy of most spectators and the chagrin of purists taking exception to deciding classical events with Blitz (albeit slow 5+3 Blitz). Personally I’m fine with both alternatives; shared victory, or play-off. I do like play-offs despite the extra pressure, and fortunately I managed to maintain my good record, and won 1,5-0,5 to clinch the title and capture the status of having the most tournament victories ahead of Anand at 5, and Aronian (among contemporary players) and others at 4. In round 9 I had the black pieces against Viswanatan Anand who has played very well except against Kramnik. We ended up playing a Ruy Lopez variation that is somewhat better for white but solid for black. It was a surprise when he went c4 as I thought I might have more problems after a slower approach with b4, and eventually rerouting the knight from g3. White still had the initiative, but it was not much. When he offered me a draw on move 32 it was still fairly equal. Since I couldn’t see any scenario where I would end up better, I promptly accepted. We played rounds 6 to 8 this weekend, and while the individual results cannot be considered particularly unexpected, the many comebacks from lost positions are exceptional. Friday it was Mamedyarov’s and So’s turn, and by winning Mamedyarov took the sole lead ahead of Anand and Giri. Even for January in Wijk aan Zee the storm was quite heavy this morning. The planned basketball match in Ijmuiden was cancelled due to an authority red alert related to traffic dangers, falling trees etc. Early afternoon it calmed down a bit and we enjoyed a walk on the beach and a late afternoon basketball session at the local Heliomare, before playing the first online Proleague match of the year for the Norway Gnomes. Todays opponents were aptly named the (Gorky) Stormbringers. We won convincingly. Traveling from Oslo via London for the annual Arctic early January sponsor event onwards to Wijk aan Zee outside Amsterdam, I’m reminded of one effect of living close to the Arctic circle. Just a short flight from Oslo there’s already 1,5 hours more daylight mid January. The King Salman 2017 World Rapid & Blitz Championships in Riyadh was organized at the highest level, and my family and I were treated with great hospitality throughout our stay. The quality of my play was more of a rollercoaster until the last day. The great last day change was reminiscent of the Berlin 2015 Championship, with opposite signs. Isle of Man 2017 – Finally 1st again! The Paris tournament finished last Sunday, and I have had some time to digest the overall result as well as how I tackled the challenging Blitz stage. I still have mixed feelings about the event, but fortunately the achievements shine stronger and miserable moments gradually fade away. Grand Chess Tour 2017 - Paris Rapid Chess mission accomplished! With two wins and a draw on day two as well, and another quite good day today, I scored an unbeaten 14 points in nine rounds to win the Rapid portion of the event, ahead of Grischuk at 13, Nakamura at 12 and Vachier-Lagrave and Mamedyarov at 11. Altibox Norway Chess 2017 was one of my worst performances since joining the chess elite. This year Norway Chess is important for many reasons. Already celebrating the 5th edition, Norway Chess has become a main feature on the elite chess calendar. The more than impressive line-up with the Top 10 players on the February 2017 rating list (in June all still within top 12), undoubtedly makes it the strongest tournament this year. After the World Championship match I’ve ended 2nd or 3rd in all events. While not bad, it is not the standard by which I judge myself. Cudos to Levon Aronian winning the Grenke Chess Classics in style with a +4 score. Caruana and I shared second place with a modest +1. This is of course a disappointment for me, in a tournament marked by making far too many blunders in promising positions. Baden-Baden Schachzentrum has been a power house in German chess for decades, organizing events and fielding the strongest team in the chess Bundesliga, a team for which I have played earlier in my career. Hotel Zeeduin is indeed at the sand dunes next to the beach in Wijk aan Zee. It has been my home most of January for the 10 years in the A-group (of Tata Steel Chess) since 2007. As usual the weather is interesting and varied. We’ve had strong winds intermingled with quite periods, and bursts of snow, rain and sunshine already. Today was particularly beautiful. I have won several classical events (Wijk, Norway Chess and Bilbao), led Norway to 5th in the Chess team Olympiad, and won the New York World Championship match (on Rapid tie-breaks) against Karjakin in 2016. I started well with 3/3. The quality of my play was pointing in the right direction, indicating that I handled the early rounds better than in Rapid. With the recurring Mainz Rapid and Amber Rapid & Blindfold events last decade, and recently the annual Rapid & Blitz World Championship, faster time controls have gained a more important place in the world of chess in this century. That is very much to my liking. Faster time controls are exhilarating, emotional and intense for players and spectators, and it favors the stronger players more than in classical chess. I hope that the trend will continue, and I already look forward to the next fast play events. I’ve visited New York many times over the last 7 years. It is obviously a remarkable city and among other things, I’ve enjoyed long walks on Manhattan many times. Playing a World Championship match seemingly twist perceptions and reduce outside sense impressions to the point that I felt I was experiencing a different city this time. The utter joy and relief of match victory will always make the thought of New York bring back fond memories. Nevertheless, I already look forward to be back in the city in a more normal setting as a visitor. 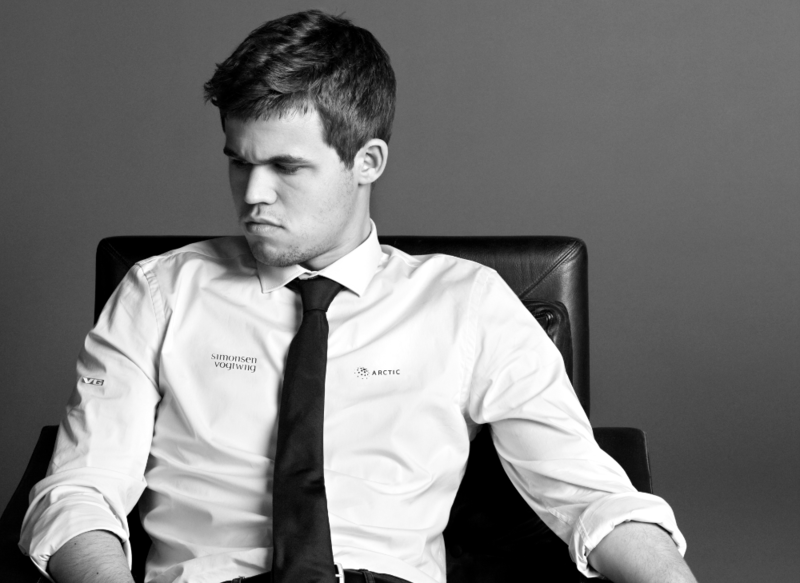 As in the Sochi-match, Magnus Carlsen himself will not be blogging during the ongoing World Championship match against challenger Sergey Karjakin, Russia. On behalf of Magnus and his team the undersigned will share some impressions instead. We enjoyed fairly good and stable weather in the aftermath of hurricane Matthew on the training camp that took place the last few weeks. In planning and executing the final stages of preparations for the match starting next Friday, I’ve benefitted from the 2013- and 2014-match experiences, and now I really look forward to the match against Karjakin. Hi everyone, I’m in the Caribbean area preparing for the upcoming World Championship match in New York starting November 11th. In addition to preparations, I’ve played the Chess Olympiad in Baku in early September and an online match against Nakamura last week since the last blog. Winning Bilbao 2011, 2012 and now 2016! The tournament finished yesterday, and together with my parents and two younger sisters I’m still in Bilbao enjoying the luxury of staying an extra day before catching a flight home Monday. That usually feels pleasant after a long and tiresome top level event, and even more so after the tournament victory. While we all seemed happy to play in Leuven, I think none of us had completely recovered from the Paris Rapid & Blitz event. The “new face” Anand (replacing Fressinet), came directly from Leon, having scored his 9th (or so) Rapid cup victory there. The atmosphere between games and at night playing Avalon, were unusually collegial. That may have reduced some of the tension. Still, in my view, two 4-day rapid and blitz events in succession is more strenuous than a regular classical event. The Paris and Leuven Rapid and Blitz events constitute half the Grand Chess Tour 2016. Having grown up watching Amber Rapid and Blindfold as a young chess player and qualifying in time to compete in the last five events until 2011, I was thrilled to see the addition of two major elite events with fast time control this year. As mentioned last week I was quite optimistic after the Blitz and round one. Subsequently my play has varied, while the results have been good. I’m in the lead with 4/6 before the final three rounds Wednesday to Friday. After six rounds in Stavanger Forum, we are playing in the Stavanger Concert hall from tomorrow. In recent years I have typically played two top level events each quarter with minor variations. In general it has provided enough time for restitution between events but often left me slightly rusty early in the next tournament. As discussed in earlier blog posts I chose a different approach this winter to get back in form after varying results from June to November. It worked well. The subsequent two and a half months break, mostly at home, felt good. I enjoyed the excellent February/March skiing conditions locally and spent time with friends and of course followed the exciting Candidates tournament with interest. As last year before Shamkir (same dates as Norway Chess this year) I went south for a training camp early April. This time to Spain. Fortunately it seems to have contributed to a good start here in Stavanger. Qatar. Ending 2015 on a high note! Tata Steel Chess 2015 is on! Sochi Chess World Championship Victory! Shamkir Chess 2014 . great event! Chennai World Championship Match 2013 Victory! Tal Memorial 2013 comes to an end. Tal Memorial edition no 8 ! 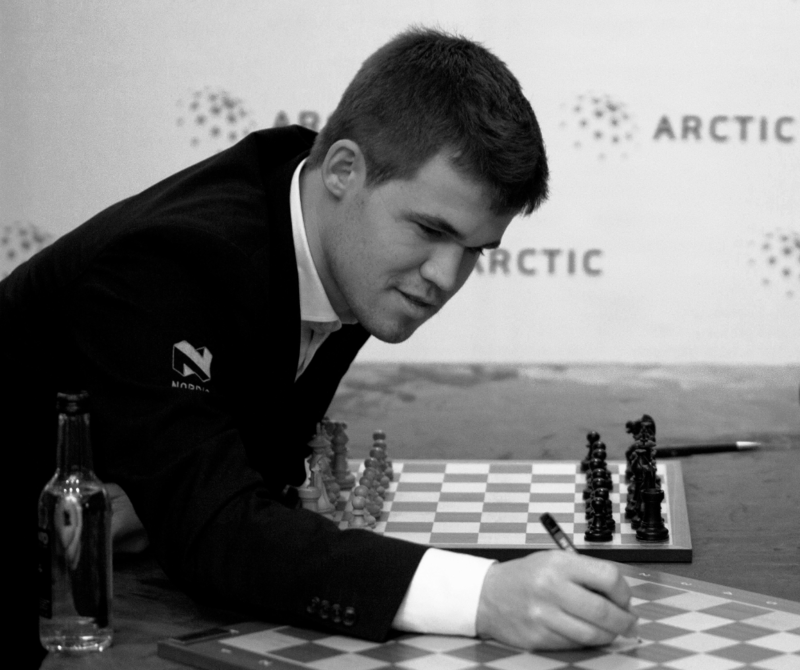 Norway Chess 2013 a great success! Tata Steel Chess Victory 2013! Round 5 Biel Grandmaster Tournament 2012. Tal Memorial 2012 . R6 against Aronian. Tata Steel Chess 2012 - One round to go! Round 7 victory against Gelfand! Victory against Aronian in R3 in Tata Steel Chess! Tal Memorial Victory! London Chess Classics next. Tal Memorial 2011 R7 Short draw. Winning Kings. Tournament 2011 on Tie-break! No blunders, no missed opportunities. London Chess Classics 2010 Victory! Nanjing Pearl Spring 2010 Victory! Bilbao Grand Slam Final Round 5. Round 10 and 2014 Olympiad host election. Back from New York and ready for the Olympiad! Arctic Securities Chess Stars, Kr.sund, Final. Oslo, November 28th, Blitz tournament.